India is one of the fasted growing markets for automobile industry. Many companies are eager to launch their bikes in India. Amongst the bike aficionados in India, imported bikes enjoy a cult status. Overlooking the price factor, these high performance imported bikes grabs the attention of the cash-rich, style-savvy Indian youth. India Suzuki Hayabusa, Kawasaki Ninja 250R and the coolest one Harley-Davidson are leading import bikes playing on the Indian road. As the home-grown automobile manufacturers are yet to come up with genuine high-speed superbikes, these are imported from other countries. Bike enthusiasts from different corners of India are purchasing imported high-performance bikes to satiate their zeal for high-speed biking. Despite their sky-high price tags, these cult machines do have a fair number of admirers in India. Harley-Davidson was the much awaited bike in India. With its redesigned front end, longer travel suspension and comfortable cruising position, Harley-Davidson has grabbed a major share in the market of imported bikes in India. There are 12 models of Harley-Davidson in India from the range of five motorcycle families, namely Sportster, Dyna, VRSC, Softail and CVO. Dealership city for Harley Davidson in India will be Gurgaon, Bangalore, Mumbai, Hyderabad, Delhi, Chandigarh, Chennai & Ludhiana. Suzuki Intruder M1800 R bike is imported from Japan and sold throughout India through the company’s sales outlet located at Indian cities of New Delhi, Bangalore, Hyderabad, Chennai, Pune, Mumbai and Ahmedabad. The thrilling bike Suzuki Intruder M1800R has a price tag of Rs. 12.5 Lakh and has two color variant options namely Cherry Red and Nebular Black. It is the most powerful mass-production cruiser and uses brakes developed for racing application. It also has the biggest rear-tyre on a production motorcycle and the biggest piston on any car or motorcycle. It has got a 1783cc V-Twin engine which offers lots of torque for laid back cruising. Special feature of the bike is the shaft driven rear wheel. Hayabusa needs no introduction. The combination of John Abraham-Hayabusa in DHOOM says it all. 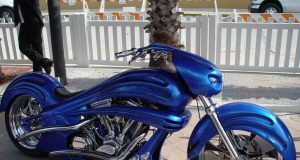 It is amongst the most popular imported sports motorcycles. The bike uses a 1.3l-liter 190 bhp engine that uses many advanced technologies to bring race track experience to the road. The 2008 Suzuki Hayabusa boasts of features like a ram air-equipped 1,340cc 16-valve inline-4 engine with twin swirl combustion chambers, a new S-DMS that offers three different engine settings, and sleek aerodynamic design. The hydraulic slipper clutch and mounted front brakes ensure smooth power delivery and quicker stops. Yamaha YZF-R1, incepted in 1998, is a sports bike produced by Yamaha Motor Company. The bike is a thrill for the youngsters who love style and speed. 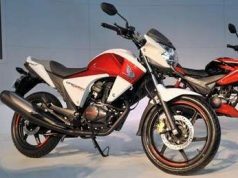 The bike is available in India at approximate Rs 11 lakhs. It is equipped with a short-stroke 998cc DOHC, 20-valve, liquid-cooled inline four-cylinder engine that delivers a peak power of 175 bhp. With the introduction of Kawasaki ZX12R Ninja, Kawasaki threw its gauntlet into the high-performance sportbike war raging among the Japanese motorcycle manufacturers. ZX-12R had a fuel injected liquid cooled (4 x 46 mm throttle bodies) 1200 cc hypersport bike, generating around 178 hp at standstill and 190 hp at 300 km/h due to its ram-air system. The bike’s all-aluminium monocoque frame and cast steering swingarm pivot areas gives it extremely stiff structure and contributes to its superb high-speed stability and handling performance. CBR1100XX Blackbird, launched in 1996, was the world’s fastest production motorcycle at the time. With this bike you can have a rich experience of its strong acceleration. Its liquid-cooled, 16-valve DOHC inline-four cylinder 1137cc engine produce a peak power of 153 bhp at 10000 rpm. Although its status of the fastest bike was taken by Suzuki Hayabusa, its production continued and was halted only in late 2007. 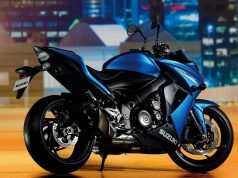 Kawasaki Ninja 250R is another top imported sports bike in India. 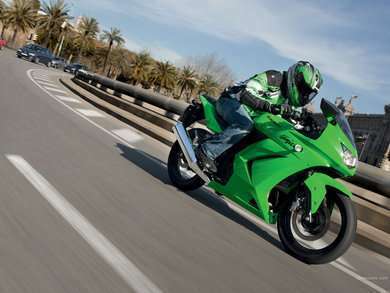 Kawasaki Ninja 250R is the one of the best bike in 250cc segment. 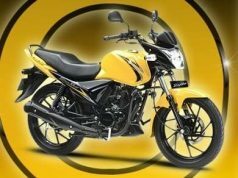 After the success of Kawasaki Ninja worldwide, Bajaj launched ninja in India now. Kawasaki Ninja 250R features 249cc parallel twin 4 stroke engine which produces 33PS of power and offers high performance and comfort ride. It is available in two colors in India – green and black and at premium price in India.